Mountain Bear Lodge in Nethy Bridge, near Aviemore, Highlands sleeps 14 people. Mountain Bear Lodge near Aviemore is a detached, timber clad lodge property which has a peaceful and private setting just a ½ mile outside the forest village of Nethy Bridge; and makes the perfect base for exploring this lovely part of the northern Highlands. The peaceful nature of the setting of the lodge is revealed in all its splendour – absolutely breathtaking. Sitting on the edge of the ancient Scottish Caledonian Forest, the lodge overlooks moorland and mountains with abundant wildlife which includes red squirrels, mountain hares, red and roe deer, and many species of song birds can often be seen from inside the lodge. Visit the testing Spey Valley golf course and the Dalfaber Resort with its wonderful array of leisure activities, or a day trip to the Moray coastline peppered with little fishing villages and beautiful beaches which have been voted in the top 20 the best coastline destinations in the world! For the less energetic, sit back in the hot tub set in peaceful garden grounds, relax and unwind. The shop, pub and restaurant are all 1 mile from Mountain Bear Lodge near Aviemore. Bedroom 1: With king-size bed, Freeview TV, and en-suite with shower cubicle and toilet. Bedroom 2: With king-size bed, Freeview TV and en-suite with shower cubicle and toilet. Electric central heating (underfloor in bathrooms), electricity, bed linen, towels and Wi-Fi included. Initial logs for wood burner included. Travel cot and highchair available on request. Welcome pack. Large lawned garden with sitting-out area, garden furniture and barbecue hut. Hot tub for 5 (private). Sauna (private). Bike store. Private parking for 10 cars. No smoking. Holidays at Mountain Bear Lodge run from Friday to Friday. Pets allowed at Mountain Bear Lodge. For a better idea of where Mountain Bear Lodge is, you can see Mountain Bear Lodge on the map below. 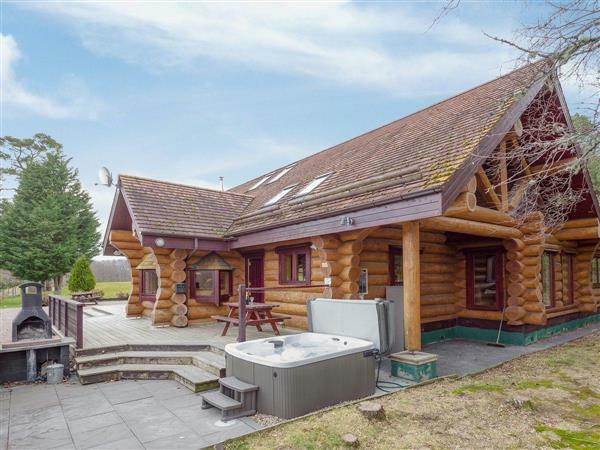 Do you want to holiday near Mountain Bear Lodge (UKC3144), you can see other cottages within 25 miles of Mountain Bear Lodge; have a look to find your perfect holiday location.